Eau de Parfum. Tipologia profumo Eau de Parfum. Se realizará un segundo pase al día siguiente. EL MODO DE ENVÍO '. SIEMPRE TRATAMOS DE SATISFACER A TODOS. SIEMPRE VAMOS A TRATAR DE SOLUCIONAR CUALQUIER PROBLEMA. 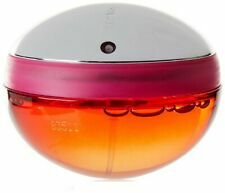 Paco Rabanne Ultrared Eau de Parfum 50ml Spray - For Her. The differences are the amount or the concentration of oils that are in the scents. The higher the concentration of oils, the longer your scent will last, and the less you should need to apply. Eau de Parfum Paco Rabanne Ultrared 50ml Spray. Este artículo se vende con el 22% de IVA incluido. Productos indicados como "Para desguace o que no funciona " se venden "tal cual",sin ningún tipo de garantía. Nel marzo 2008 Paco Rabanne lancia due nuove fragranze, Ultrared per le donne e gli uomini Ultrared per gli uomini. Tipologia profumo : Eau de Parfum. For more info see the FAQ section of the site. This is not to be considered due to us! En marzo de 2008, Paco Rabanne lanza dos nuevas fragancias, Ultrared para mujeres y hombres Ultrared para los hombres. En marzo de 2008PACO RABANNE lanza dos nuevas fragancias,Ultrared para las mujeres yUltrared Hombres para hombres. EAU DE PARFUM. 50 ml SPRAY. Ricorda di aggiungermi all'elenco dei preferi. Dai un'occhiata alle mie inserzioni. DI RILASCIARE SEMPRE UN. SOLUZIONE POSSIBILE. CERCHEREMO SEMPRE DI RISOLVERE QUALSIASI PROBLEMA. Paco Rabanne Ultrared Eau de Parfum 50ml Spray. Garanzie e Restituzioni. Il prodotto non deve aver subito alcuni tipo di alterazione. 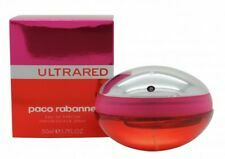 Paco Rabanne Ultrared Eau de Parfum 50ml Spray. 100% authentic, new and sealed product. Products stated as "For parts or not working " are sold "as is " without any warranty. Doing that is against U.S. and international laws. 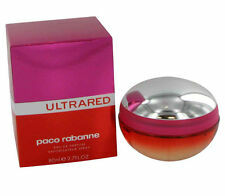 Paco Rabanne Ultrared is a limited edition fragrance, which was launched in 2008. It is a seductive, masculine fragrance. It has hints of blood orange, vanilla and tonka bean. Shower Gel. Deodorant Spray / Stick. Ultrared by Paco Rabanne is a fruity floral fragrance. delightful, seductive, passionate and elegant, this scent contains top notes of Red Currant and Wild Strawberry. Heart notes of Star Anise, Licorice and Jasmine. All of our products are 100% genuine. Make your love smile with these perfect gift ideas: Your sweetheart will love and cherish. Gifts for all ocassions. This product also makes for a wonderful gift idea.